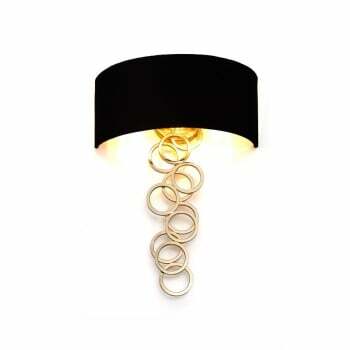 Looking for a distinctive and elegant, chic modern lighting effect? Whether your tastes are Mid Century or Hollywood Regency or even any modernist with a dedication to elegance will easily find a place in their home for this beauty. 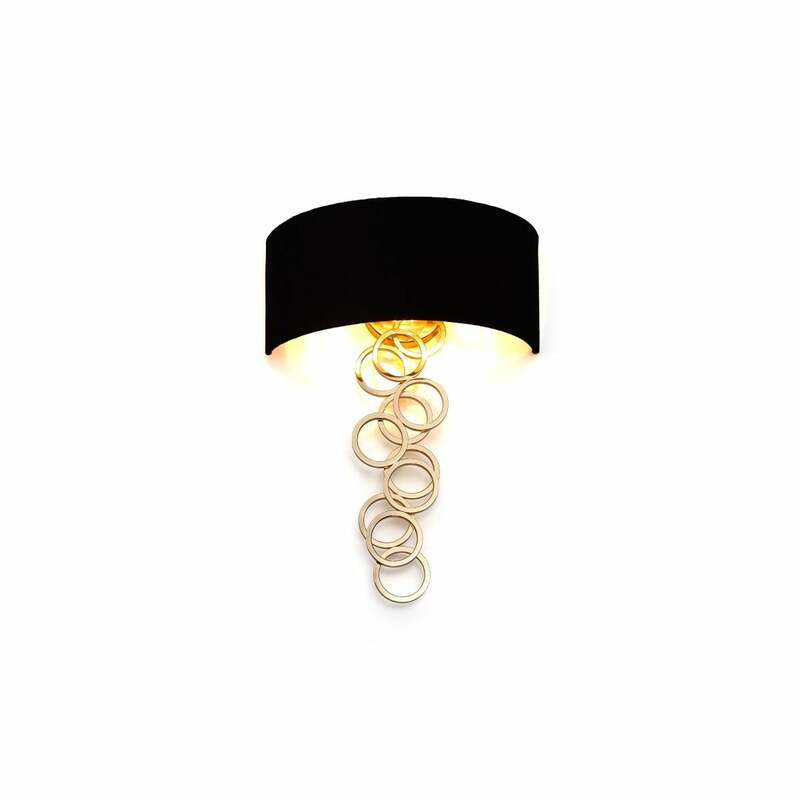 Part of the Génova Gold lighting family, this stylish Modern Wall Light Genova designed by Villa Lumi will add a remarkable Hollywood Regency touch to any room. This opulent Wall Sconce features a gold brass decoration and luxurious shade. The light flowing through the stylish dark shade and brass circles will do more than illuminate a room. As the times passes, the light expressed through the brass sconce will emit tranquility and warmth in any room that it is placed in. A striking statement piece! This stylish beauty steals the scene solo or in a pair. The trendy Wall Light is suitable for any living room, lounge, bedroom or elsewhere throughout the home. Pair it with the matching Ceiling Pendant Genova or Designer Table Lamp Genova (available separately) to complete the look. Currently, Hollywood Regency style is very much in Vogue.